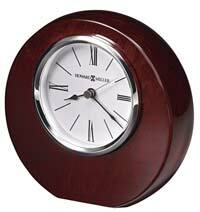 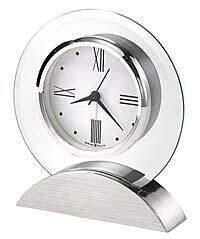 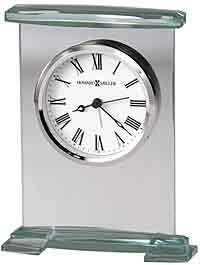 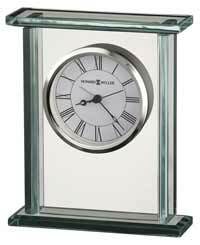 The Howard Miller Dana 645-698 offers a round beveled glass tabletop clock in a satin rosewood-finished arched base. 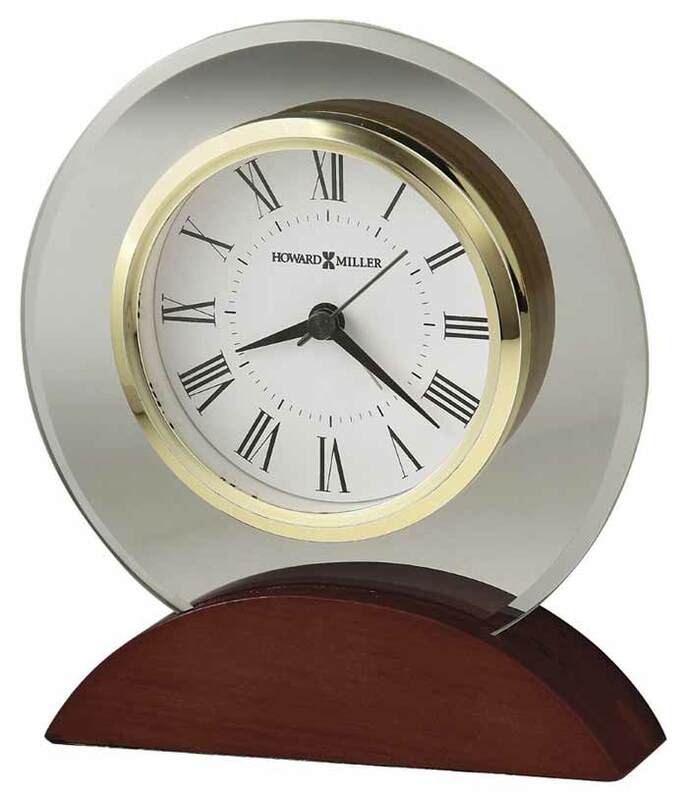 A polished brass tone bezel surrounds the white dial with black Roman numerals; black hour, minute and second hands, and silver second hand; and glass crystal. 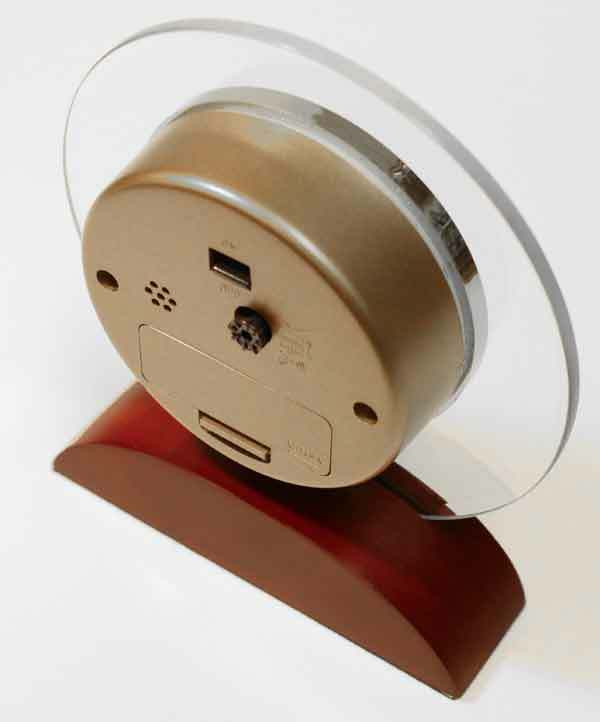 Full felt bottom protects your desk or tabletop. 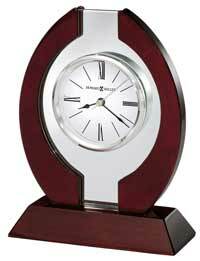 Accurate Quartz, alarm movement includes the "AA" battery. Clocks for sale at The Clock Depot including the 645-698 at discount prices.